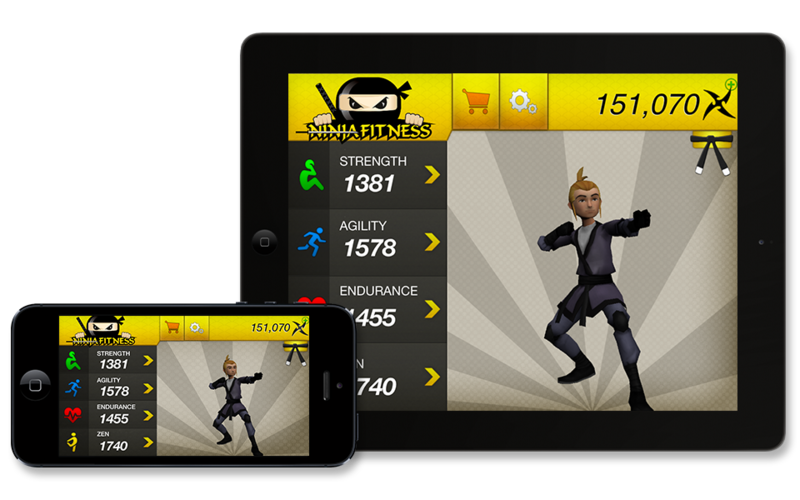 Ninja Fitness is a real-life exercise and workout based game that brings motivation through leveling up a 3D ninja character designed by you. Once designed, your ninja will be following the legendary and often times hilarious Grandmaster Old Beard as he shows you the way of the fit ninja. 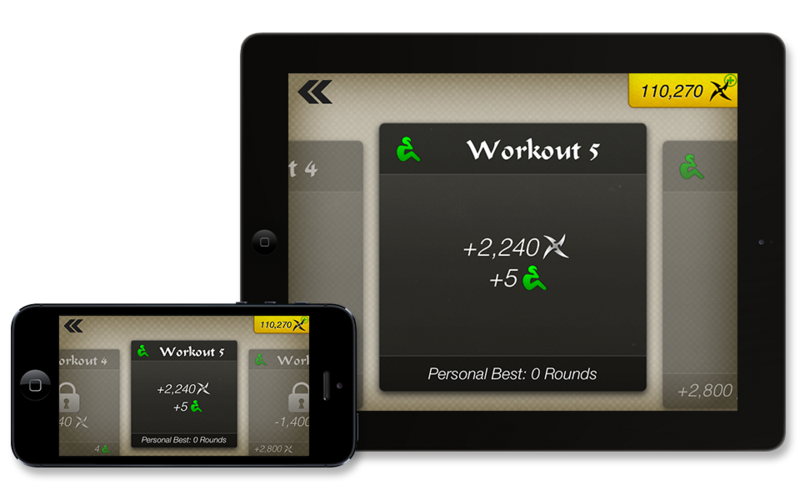 All the workouts used in Ninja Fitness are bodyweight only and don’t require any equipment at all to be done. All you’ll need is your body and some ninja motivation! No equipment needed, so no excuses! 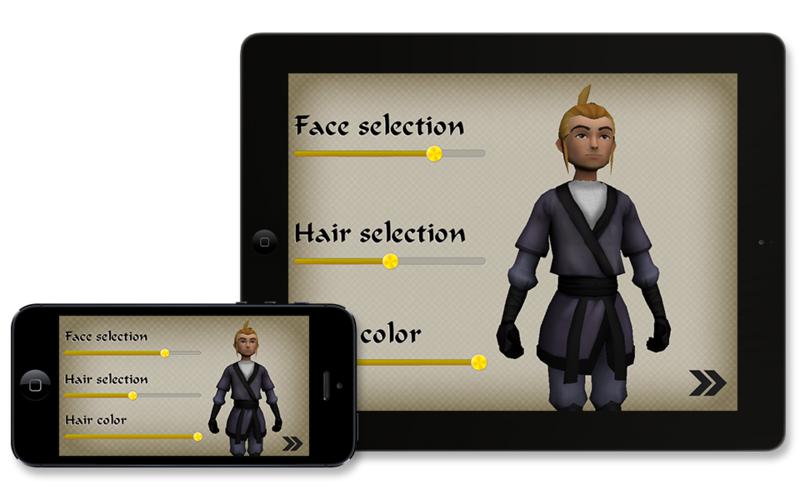 Your ninja has 4 skills that need to be leveled up to get higher ninja belts and to get more of the coveted ninja stars. 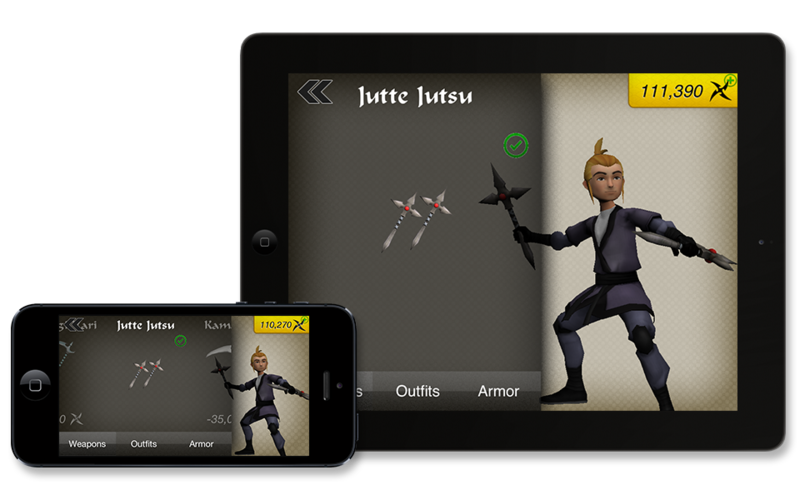 Ninja stars can be traded in for harder workouts, better outfits, and awesome ninja weapons. Strength: The strength workouts are upper body focused and consist of exercises like pushups, situps, and burpees. These workouts will give you that sculpted upper body you’re looking for along with a rock solid core that’ll make other ninja’s jealous. Agility: The agility workouts are mainly lower body and will have you doing moves like lunges, squats, and jumps to improve your leg strength and explosiveness. If you’re looking for strong and powerful legs these workouts will get you there. Endurance: The endurance runs utilized will have you getting outside or on the treadmill to build up your running speed and distance. The runs use High Intensity Interval Training (HIIT) as a way to melt off the fat and build up your cardiovascular strength. Zen: Every ninja needs a limber body and a clear mind so these workouts consist of many stretching movements and even meditation. These are great routines to rise out of bed with or used to unwind with before bed. You’ll grow to love these after an intense strength or agility day! 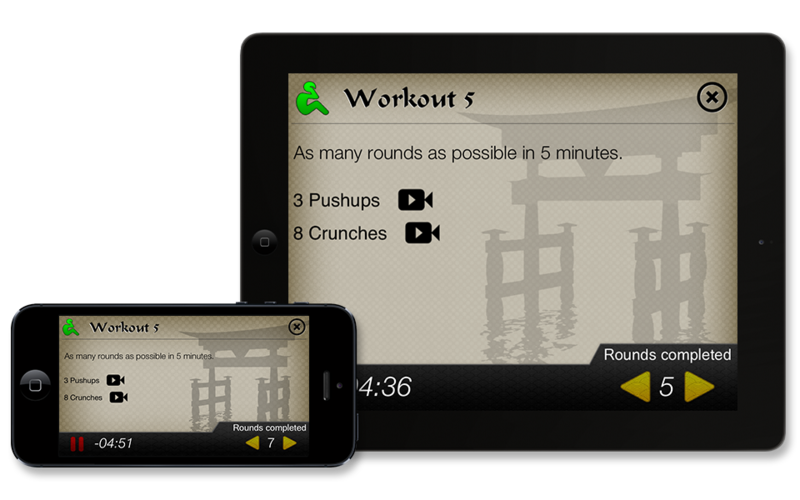 Behind the game Ninja Fitness is a well rounded functional fitness app which starts out at a beginner level and progressively becomes more advanced as you and your character level up. Every exercise and stretching movement is explained in a real-life video where a trainer will explain how to perform the movement with perfect form. No other app out there is combining strength training, running, and stretching into one cohesive routine that grows with you as you get better at each individual skill. Ninja Fitness will keep you motivated with it’s fun, game-like atmosphere, but the real goal is to get you into great shape and the program behind it will.